Luke Blaxill, our co-director, had the pleasure of presenting at the UKGCE's widening participation one-day conference at Cambridge. He spoke about the role alternative funders can play in also helping to widen participation- mainly due to their diverse eligibility criteria and capacity to fund partially funded students. The day was a fascinating opportunity to meet HE staff working in this sector - as well as many familiar faces - and to learn more about the important and pressing challenges regarding widening participation with postgraduate study. Our team will be at the Vitae Researcher Development International Conference on the 11th September in Birmingham as a trade exhibitor. We are looking forwards to meeting staff involved in RDP Training and Resources, and to introducing those who have not heard of the Alternative Guide to our products and services! 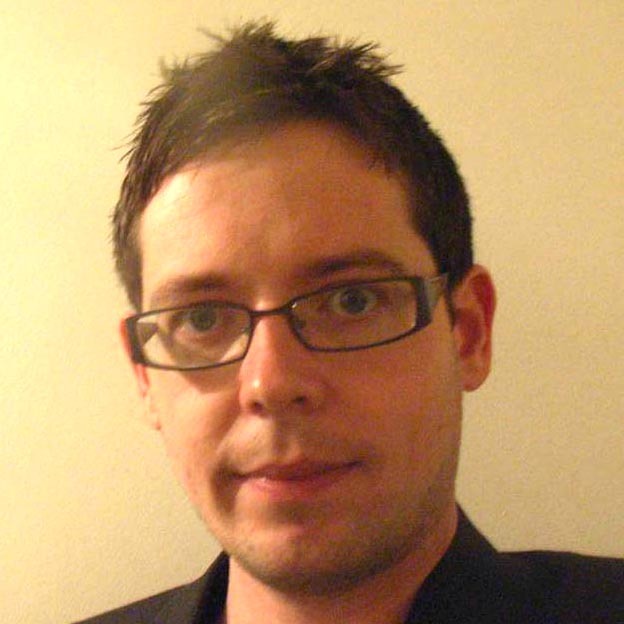 Our director, Dr. Luke Blaxill, talked exclusively to FindaMasters.com in a new interview about finding Masters study through charities and trusts, and by combining this with the new postgraduate loans system. 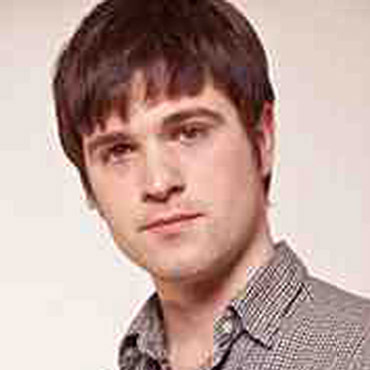 Read his article, and watch his interview, here! There's a new postgraduate loans system coming in for the 2016-17 academic year. First it will be for Masters funding, but PhD loans are also coming in at some point in the near future (the government hasn't said when yet). 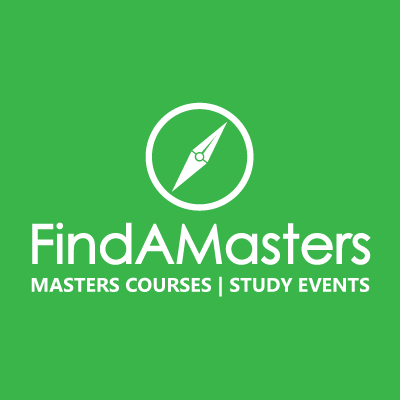 The Masters loans look like a great deal- £10,000 a year available for taught and research masters, all subjects, and part and full-time courses. Repayments are 6% of annual income over £21,000 once the student graduates. PhD loans will be £25,000 for the whole degree. The new loans system represents amongst the biggest shakeup of the postgraduate funding system we've seen in a long time: a lot more money (albeit loaned money) will be put in students' pockets. 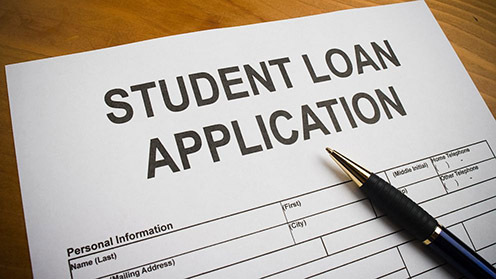 At GradFunding, we welcome these changes because they provide a greatly needed extra source of support, and will hopefully have the effect of driving students away from the high interest private loans companies targeted at students which have appeared en masse in recent years. On the other hand, we are also mindful that even though it is at a much better rate of interest students will be encouraged to incur even more debt. We are also mindful that this change makes it necessary for postgraduate funding resources like the Alternative Guide to make our place in the market crystal clear, and to show how we dovetail with the new system. However, rather than the new loans system rendering us obsolete, we believe they make the Guide much more important than ever before. The first reason for this is that the new loans are not enough to bankroll a whole course. After Masters fees have been paid, the full loan of £10,000 will leave (at best) a few thousand left for the student's maintenance. For a PhD, the full loan will average £8,300 a year if the doctorate takes three years, and £6,250 a year if it takes four. This, similarly, will leave precious little money after fees are paid. The Alternative Guide then comes in to supplement this loan funding. Indeed, it must be stressed that charity awards are almost always supplementary that is to say that charities have always been likelier to back students who had some other income (whether other grants, part time work, savings, or loans from a respectable source) rather than those who present them with a black hole and no other means to fill it. The loans system makes partial funding much easier to get, which in turn makes charities much likelier to offer supplementary funding. The second reason and one our customers in post-graduate recruitment are naturally very mindful of -is that supply is clearly going to generate its own demand. Many more students are going to do Masters degrees now the loans are available than would otherwise have done so, and the same will be true of PhDs. There will thus be many more partially-funded students who need extra funding to bridge the gap between what their loan gives them, and what they actually need. Again, the value of flexible supplementary grant funding - a few thousand pounds here and there -becomes more pronounced than ever before. And that's wherecharities, and the Alternative Guide, excels. The third reason is simply that we offer grants, not loans. While superficially attractive, encouraging students to incur mountainous debt is inherently problematic, and many students will want an alternative in the form of grants. We will be reformulating the Alternative Guide over the coming months to adjust for the changes, and to reflect its new role in this altered funding world. 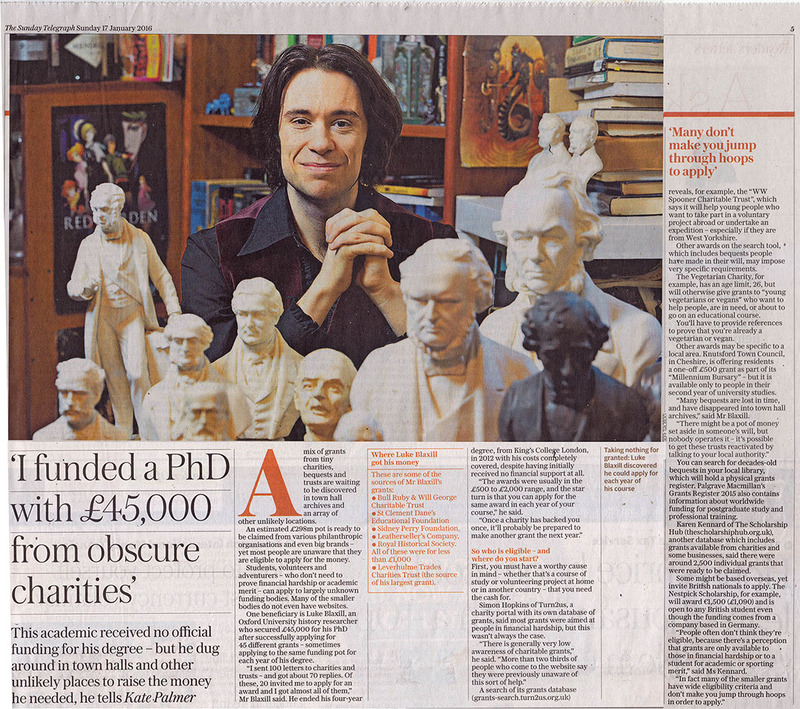 Luke Blaxill, our director,appeared in yesterday's Telegraph in an interview about his PhD funding strategy on which the Alternative Guide is based. Students using the Alternative Guide often do some really amazing things with fundraising, and surprise us with how they have managed to find charities that we never heard of to overcome the financial challenges of postgraduate study. 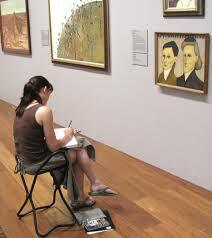 Very, very occasionally, students do something that is not only surprising, but might actually be paradigm shifting. While Genevieve Richardson - our newest Student Story entry - doesn't claim to have invented the concept of Crowdfunding for postgraduates, she is one of a small but growing group of innovators who are using platforms like Hubbub to raise substantial, and sometimes even astonishing, amounts of money for their courses. Genevieve is raising funding for an MPhil in Development Studies at Oxford, and has turned her course into a campaign, and crucially, made herself and her studies investable and appealing by breaking out of the confines of academia and taking their story to the people. If you donate certain amounts of money to Genevieve's campaign, she will proofread an essay, invite you to a formal dinner at her Oxford college, or sing for you at an event of your choice. Check our Genevieve's Campaign here! We also think that Crowdfunding can combine excellently with charity applications, and for innovative students, can form part of an alternative fundraising package! We have been putting in some renovations to the Alternative Guide Online, including updating our funding database, and releasing a new edition of the book version for 2015-16. Over the next few days, some new sections will also be appearing on the Alternative Guide Online. 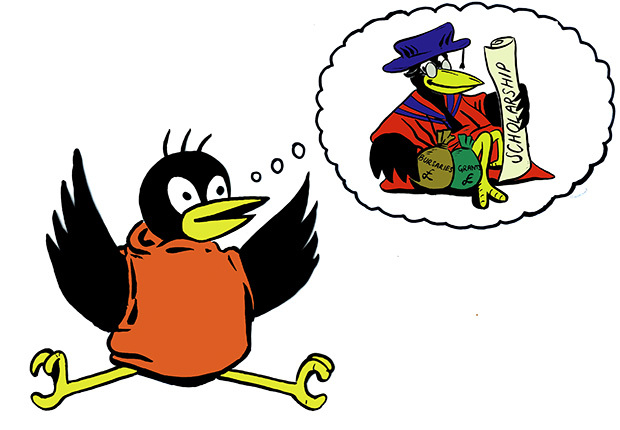 And some new images of Jacob the Crow, such as this one, which depicts Jacob when he was a young undergraduate crow, dreaming of postgraduate study. Behind every funding award, there’s a student with a story to tell. In the world of alternative funding, these stories—more often than not—are interesting and inspiring. So we’ve created a new section on the Alternative Guide Online which shares the personal funding stories of students (www.postgraduate-funding.com/students/student-stories). Perusing our Student Story Archive, you’ll see how each went about finding and applying slightly differently—often depending on their subject, and their backgrounds. But you'll notice some common experiences and strategies too. We’re proud of our successful students, and some of them have been more successful than we were ourselves when we were in their position. The Archive has just launched, and so we only have five profiles right now, but we’re looking for more! If you - or a student you know—has won awards from charity and has an interesting story to tell, then do get in touch! We pay £50 for each story and the one we think is the most impressive for 20l4/15 will win a prize of £200! 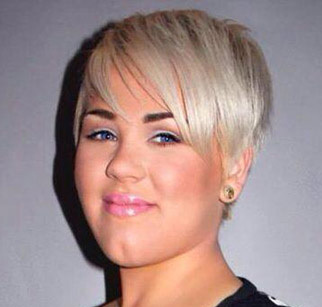 Our first student in the archive is Lucy Atkinson, a PhD student in Psychology at the University of Northampton. Lucy, Stephen, and Suraiya’s stories are just three out of many thousands, but we hope that our new Student Story Archive will act as a platform for us to help our students share many more such stories in the future! 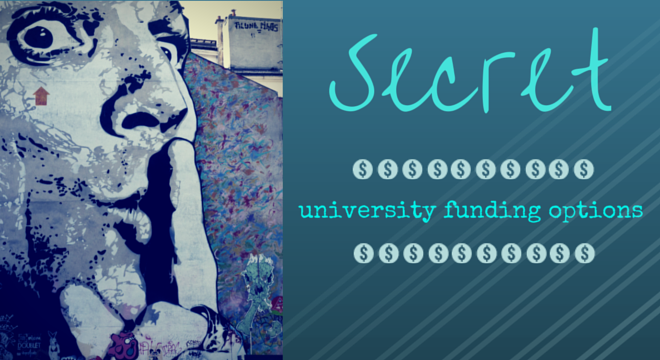 GSM London have posted a great article on secret funding options for students! We're pleased to say that one of their major featured organisations is us, the Alternative Guide! We are, of course, only the second best aide to finding funding. The first is yourself! And GSM's article is full of great ideas, and is well worth a look. 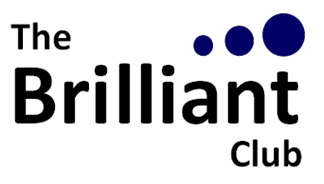 The Brilliant Club, the famous organisation which places PhD students in underprivilleged schools, to help widen access to higher education, have featured the Alternative Guide to Postgraduate Funding on their blog. The entry is written by Lucy Atkinson, one of the winners of our Outstanding Student Fundraiser Awards whose own dymaic funding story is featured on our Student Story Archive! This new section shares stories of a number of students who have been successful with raising funding to support their studies. Read more about their stories here. New PDF Edition of the Alternative Guide released on this website! We have just released a new edition of the book form of the Altrernative Guide! It's 142 pages- up from 128 last year. You can download the new PDF from our download point once you are logged into the website, or from the 'Read more About It' sections at the foot of each page. The Alternative Guide Online itself (i.e. this website) is also undergoing updates, including to its funding database. It's thus a really good time to take out a subscription with the Alternative Guide while its still hot off the press! In March, I had the pleasure of speaking at a two hour workshop on alternative methods of raising postgraduate funding at the Royal College of Art, with an audience overwhelmingly of Masters Students. While funding is a challenge for all groups of postgraduates, opportunities are arguably scarcest of all for students doing MAs in the arts and humanities. But in many respects I think that because artists, musicians, and others practising the visual and performing arts generally have it tough with funding, they have developed a creativity and entrepreneurship when it comes to raising funding that the rest of us can really learn from. After I gave an hour’s talk on alternative postgraduate funding techniques – and how students could get the most out of the Alternative Guide Online – we heard presentations from three Master’s students on how they had raised funding from charities and trusts. The first student – Sinead – said that, in advance of her MA starting (and before she knew about the Alternative Guide) she had phoned up dozens of charities - as well as local libraries, societies, museums, galleries, and anyone else she could think of - and asked to talk to someone who might be able to offer suggestions for funding opportunities. She got dozens of dead ends. But from this determined effort a few gems did emerge. She either struck lucky directly, or got referred to an organisation (many of them very local) that could help. This story of grim persistence reminded me of how I funded my PhD in History via a similar route. Although students who use the Alternative Guide will avoid common mistakes and pitfalls that anyone would inevitably make navigating alone, stories like Sinead’s do underline the value of sheer persistence! The other two students had also been very creative, The second – Darcie - had used the Alternative Guide closely during her course, and had secured funding from a number of bodies- some I had heard of, and some I had not. The third – Selphie – had used the fact she was Scottish heavily to her advantage, securing funding from the large number of bodies who fund Scottish students. All regions in the UK have local charities which support people who either live there – or have roots there – but Scotland seems especially well-covered. This underlined to me the importance at looking at what you have got – whether it’s your subject of study, where you live or are from, or even the trade or profession of your parents and grandparents – and trying to turn it to your advantage by finding the right bodies who will be sympathetic! But when it came down to it, these three students – doing Masters in areas where funding is traditionally hard to come by – had managed to achieve success by thinking outside the box, and by having a go! A very small number of students have always managed to navigate this path, but it has been a lonely one. But the real challenge for us (and we think for universities) lies in throwing this path open to others who would not necessarily tread it without guidance. We are proud that the Alternative Guide encourages many more students to try, and gives them a much better chance of negotiating it successfully! It's easy to see the Alternative Guide primarily as a welfare tool- something that helps out cash-strapped students. However, we think it also can have a helpful impact in perhaps the most vital priority area for HE institutions: student recruitment. The Alternative Guide is a helpful recruiting tool for two reasons. The first is that it can obviously enable prospective students to raise funding to take up offers that they would not otherwise be able to. 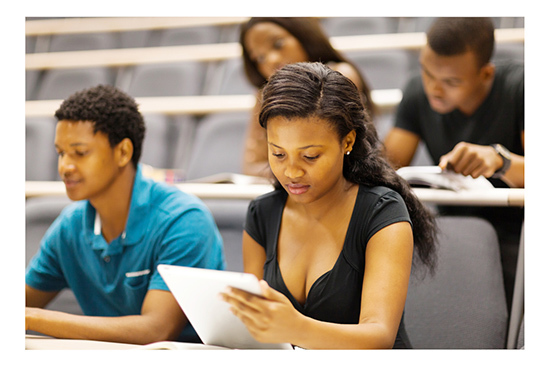 It also helps students who might otherwise drop out of their courses stay on them, minimising drop-out rates. But perhaps the most important reason the Guide helps recruit new students is that it significantly bolsters the amount of face-value funding support we are able to provide to prospective students. The web resource is a great looking product that we can point prospective students to, and they learn of the many funding options available, and this provides considerable encouragement! Our research suggests that a key factor in determining which university a student decides to apply to (and especially which offer they decide to take up) is financial support provision. The Guide is simply an indispensible tool in helping us provide support - and an optimism - in an area which ordinarily makes for pretty grim reading! In short, we feel the Guide gives our image a big boost over intuitions which do not have it. We recently attended an Open Day talk at University of Birmingham, where Luke Blaxill gave a short talk on postgraduate funding through charities. You can watch the talk here. If you are university staff, and you are interested in holding a talk like this at your university, please check out our workshops and talks page! When students have completed their undergraduate studies, they look forward to working or pursuing postgraduate study. With escalating accommodation and tuition fees it is becoming increasingly difficult to pursue postgraduate study. Students have the option of working part-time to fund higher education, but it may not be feasible to cover all expenses with this approach. In fact, working part-time beyond what a course demands could potentially jeopardise academic results and affect career aspirations. For these reasons amongst others, students look for postgraduate funding options through alternative means. 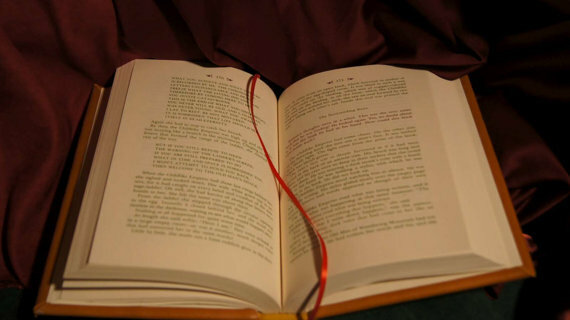 Depending on type of funding, it may cover student expenses, tuition fees, accommodation. Likewise, it may be only a general stipend. Obtaining postgraduate funding enables students to more effectivelyfocus their time on study. The hard part is finding the sources of funding. Students may lose valuable time looking for grant sources and even applying incorrectly to funding organisations. At present, there is no exhaustive repository of funding sources on the web and in particular a lack of instructions on the best way to apply for funding. Many organisations such as charities and trusts provide postgraduate funding grants. Since finding the charities is a hard task a central funding repository listing a huge range of scholarships and grants can ease the workload. Such a repository has been set up by the writers of THE ALTERNATIVE GUIDE TO POSTGRADUATE FUNDING, which allows studentsto search through a funding database to quickly prepare their grant applications. It goes beyond simply a finding tool, because it also allowsstudents to prepare financial statements or financial budgets, and personal statements. Using tools of the website, prospective postgraduate students can create a financial plan to determine what they need to fund their course, and where other funding sources (e.g. part time work) can fit into this. Prospective postgraduate students who are not attached to a university can also obtain a subscription-based account to the Alternative Guide to Postgraduate Funding, which includes a personal grants manager, a great tool for organising progress on grant applications. We hope the guide will continue to be an indispensable funding tool for postgraduate students. If you have any queries, feel free to contact us.